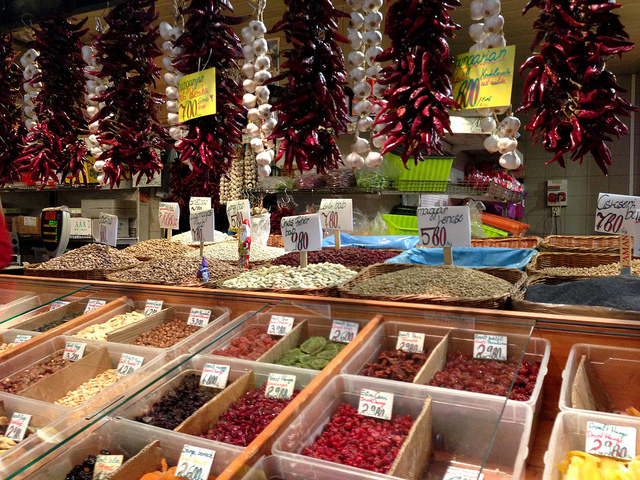 Visit the Great Market Hall in Budapest for an unforgettable market experience in the heart of Budapest. Buda and Pest have been united in 1873, and Budapest doubled the population until the 1900s. 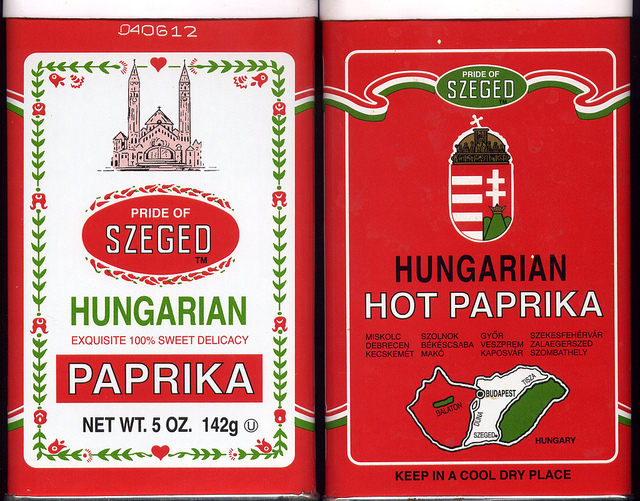 Budapest has experienced a rapid economic growth, transport and trade expansion took place in Hungary. Elegant palaces and miserable bed passes characterized this era in the same time, while preparing for a spectacular presentation of the Millennium. 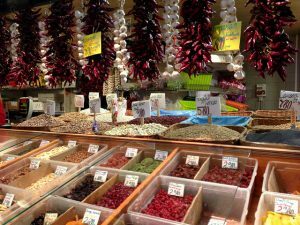 The city leaders urged generous gestures to solve the market problem in Budapest. 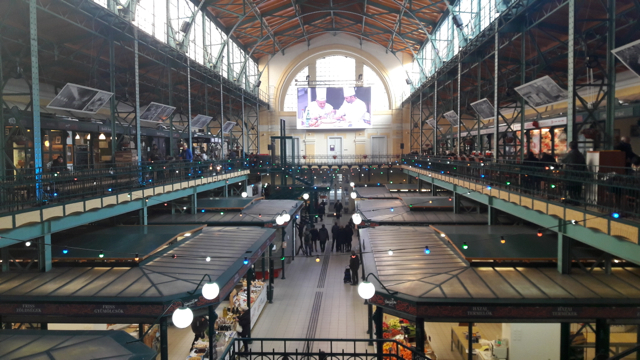 Numerous open and covered markets used to operate without hygiene and quality control in Budapest until 1879, when the Public Food Committe was founded to take control of the markets. Mayor Charles Kamermayer took part in the committee personally, and the proposal for a functional hall system based on foreign examples has been determined in 1883. To build accessible markets and halls, respecting the conscious urban planning and using the existing urban fabric while maintaining the uniqueness of Budapest was first suggested by Besnier de la Pontonerie, French engineer in his memoirs in 1872. He adopted a French model of easily accessible markets to provide fresh, healthy, affordable food in the city. The Market Hall Society started to operate in 1897, when the central district and the first four market halls opened. This market halls were followed by others in 1902-1903 to create the still known network: Batthyányi Square (District II.) Hold Street (District V), Hunyadi Square (District VI. ), Klauzál Square (District VII. ), Kossuth Square (VIII. district), Customs House, Boulevard (IX. district). The capital management announced a tender in 1892, a market hall to be established on the Pest side of the Liberty Bridge. The location of the Market Hall was selected carefully, considering the population and infrastructure of the region. Nearby a fish market has operated, next to a busy port on the River Danube. From the nine entries received, three was qualified for the second round, and finally Mr Sam Pecz the professor of the Technical University suited to the umpires saw. The building was designed and built by Sam Pecz around 1897. The plan was to finish the central and the district market halls in the same time, so the schedule was really tight and a special permission had also taken place for the works on Sundays as well. Prior to the inauguration, a fire broke out and burned down the roof structure of the central hall. On the 15th of February in 1897, the inauguration ceremonies were held in the hall network. To ensure the smooth construction and delivery of the goods, railroad rails were laid and the electric path was extended. It was deemed one of the world’s most modern market halls, with state of the art lighting and refrigeration systems. The area size of the building is 10,000 square meters, which is covered by steel structure, the stand equipment and the steel structure of the hall were all made by the Waagner and Schlick factory, the colorful porcelain and majolica covers have been provided by the Zsolnay factory in Pecs. The rentals were adapted to the activity of vendors. The highest price was paid by the operators of the refrigerated display – fish and meat vendors – while others – vegetables, bread, etc. vendors – were asked less rent. The life in the market hall was a common press topic, and it has inspired writers and various artists. From April, 1897 the official “Market Hall Report” newspaper appeared twice a week (on Thursdays and Sundays) to inform the community about the prices and encourage the audience to try new products and also inspire the producers to improve the output. The usual shouting to attract customers (like in other markets) was forbidden, like littering, swearing or even whistling. Barbed-eyed inspectors have taken care to maintain the purity of the hall and punished the sellers for example for loading the goods during the opening hours, as it had to be done during the night. During the existence of the hall it had some illustrious visitors such as Emperor Franz Joseph, who visited the market hall just three months after the opening, and he was pleased by the architecture and his majesty really liked the the Zsolnay ceramics on the roof. The entrance gate has a neogothic touch. The Market Hall is one of the most beautiful creations of the Historicism brick architecture in Hungary. Vast and airy, it’s been described as a cathedral in iron, with a canal running through its center so that barges could deliver fresh produce to the traders. The canal is no longer there — it’s been replaced by wide elegant thoroughfares between the stalls. The Market Hall provided fresh food for Budapest through nearly half a century, but it suffered a bomb hit during the World War II and damaged badly. It was rebuilt in the fifties – more quickly than initially – but in the beginning of the nineties the structure weakened and it became dangerous, so the hall was evacuated and closed down. In 1994 a complete renovation started and brought the market back to its ancient splendour. The building was declared a national monument in 1977. 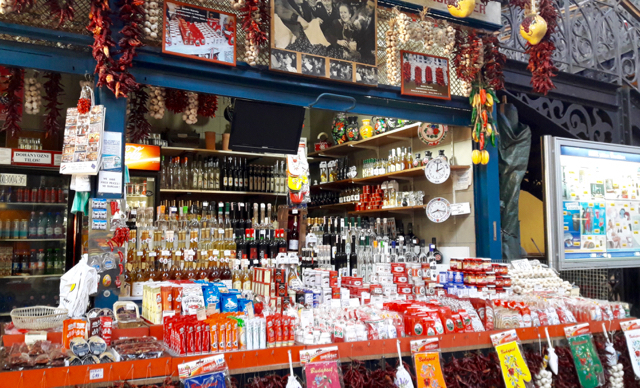 Most of the stalls on the ground floor offer produce, meats, pastries, candies, spices, and spirits such as traditional Hungarian paprika, Tokaji wine and much more. The second floor has mainly eateries and souvenirs. The basement contains butcher shops, fish market, and pickles. Not only do they have traditional cucumber pickles, but they also offer pickled cauliflower, cabbage, beets, tomatoes, and garlic. 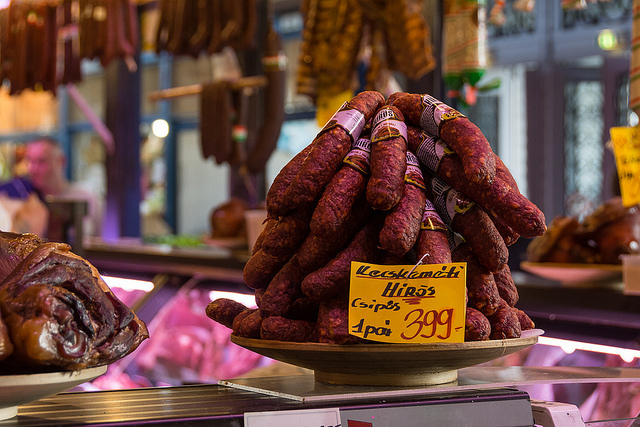 A Guided Tour is also available to help you find your way through the various sausages, hams, salamis and other foods and to make sure that you won’t miss the best deals. The famous langos – a deep-fried doughy confection topped with garlic, sour cream and cheese is also available at food stalls like the hungarian Lacipecsenye – baked sausage and wale with pickles. 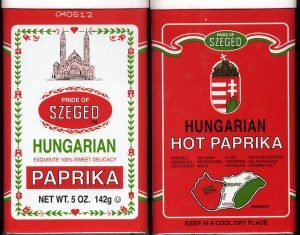 If you buy only one thing, make it a packet of grounded paprika, which will add more than memories to your cooking at home. How to get there: Although it’s quicker from the city center by metro (M3 Blue Line) to Kalvin Ter, the best way is to take a tram, to see the city as you go. Budapest has more than 30 trams — it’s a great way to travel. Take trams 2, 47 or 49 to the Liberty Bridge.